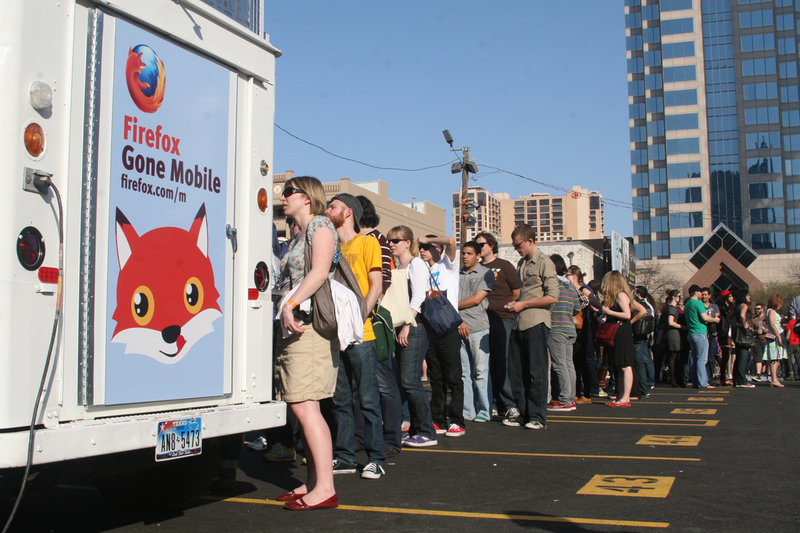 Due to weather, we moved the Firefox Gone Mobile ice cream truck to this coming Monday through Wednesday, June 27-29 from noon to 6pm. Follow @mozmobile to discover our location each day! 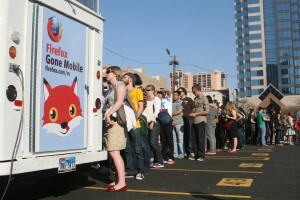 Since March, the Firefox Gone Mobile ice cream truck has cruised through the US cities of Austin, Los Angeles and New York serving free, community-named gourmet ice cream and talking to folks about Firefox for mobile. It’s been fantastic to interact with each and every visitor, answering questions, demoing Firefox for Android and Firefox Home for the iPhone, helping folks download and eating free sweet treats! We’ll be tweeting our location throughout the day so bring a friend or co-worker, get a hug from The Firefox himself, (maybe a t-shirt too!) and learn more about Firefox for mobile. See you there.